How does one depict something that humans spend most of their lives trying to understand and appease – something that has no definite form, shape or gender. Raja Ravi Varma did just that, by depicting scenes from Indian mythology and scriptures in his oil painting renditions. 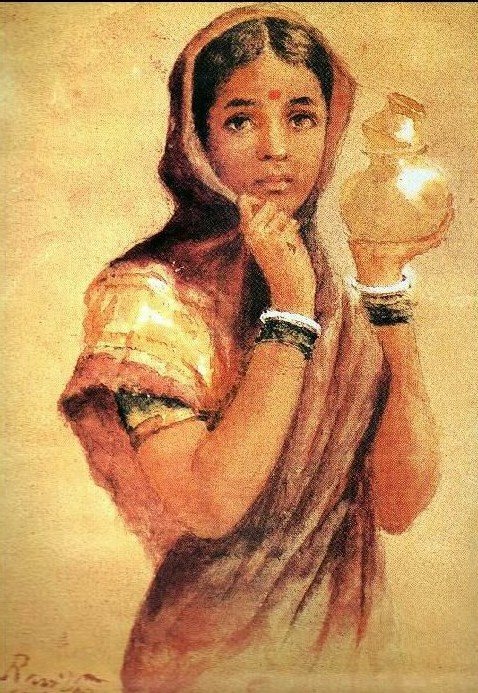 Raja Ravi Varma (1848-1906) was an Indian painter, whose paintings illustrated scenes from the epics of the Mahabharata and Ramayana, and won widespread acclaim after he was awarded for an exhibition of his paintings at Vienna in 1873. His style of painting was heavily influenced by the British painter, Theodor Jenson, who tutored Raja Ravi Varma for a short period. Raja Ravi rebuffed the Mughal style abstraction that was popular at that time in favor of the stiff contrasting technique favored by European academic art. His critics charge him of undermining traditional Indian art, which was both dynamic and rich in form and content. His depictions of sari-clad Hindu Goddesses were so well received by the common folk that they began to instinctively associate these once abstract mythical forms with his paintings. Even today, Goddesses illustrated in art, paintings and even Indian cinema are distinctly representative of Raja Ravi’s depictions. Today, Raja Ravi Varma’s paintings are considered to be among the best examples of the fusion of Indian traditions with the techniques of European academic art. The Commonwealth Games had their grand origins in an 1891 editorial in the Times by the Reverend Astley Cooper who suggested a “Pan-Britannic-Pan-Anglican Contest and Festival every four years as a means of increasing the goodwill and good understanding of the British Empire”. The idea began to come together in 1911, when the Festival of the Empire was held in London to celebrate the coronation of King George V. In 1930, Canada organized the first official “British Empire Games”. These were held in Hamilton, Ontario. As well as many Olympic sports, the Games also include some sports that are played mainly in Commonwealth countries, such as lawn bowls, rugby sevens and netball. There are currently 53 Commonwealth nations and 71 participating teams. 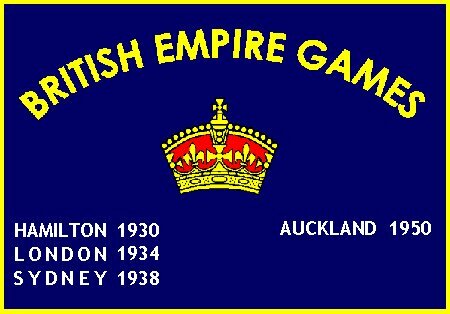 The name changed to The British Empire and Commonwealth Games in 1954, to British Commonwealth Games in 1970 and assumed the current name of the Commonwealth Games in 1978. To counterweight the Commonwealth Games, The Jeux de la Francophonie (Francophone Games) are held every four years since 1989. They are open to athletes and artists of the 56 Francophone member nations. In 2010 the Commonwealth Games come to New Delhi, India along with “the goodwill and good understanding” of the world that the Reverend Cooper had envisioned. Africa’s greatest predicament is how it will raise its people above the poverty line. 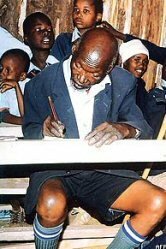 Empowering a battered generation is a gargantuan task, further complicated by the constant threat of famines and wars that have afflicted this strikingly beautiful continent in the last century. It is no surprise then, that politicians globally have an apathetic view of Africa’s future. Nevertheless there have been some prolific strides taken towards this goal in the last few years. One such interesting development is the noble quest for free primary education. 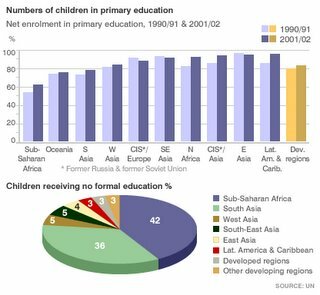 A number of newly elected governments such as Kenya, Mozambique etc have come to power promising free and compulsory primary education for all their citizens. Thankfully, this is a promise they have managed to keep. It is not surprising that parents have come out in droves to enroll their students in schools with a hope that they will secure a brighter future. Classes are filled to the brim all over Kenya, with children eager to learn. NYTimes: First Grader. Model Student. Great-Grandfather. Mathematics has always inspired tragic personalities, but one stands a class apart — Srinivasa Aiyangar Ramanujan, a poor college drop whose ideas underpin the digital revolution, lived a poignant but immensely fruitful life. 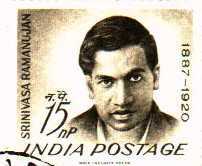 Ramanujan, who died aged 33, ended up at Cambridge in the early 1900s and was acknowledged as a mathematical genius. Later dubbed the “man who knew infinity”, Ramanujan dropped out of college at a young age after his obsession with mathematics led him to fare badly in other subjects. While working as a clerk at the port of Madras, he wrote numerous letters crammed with theorems to renowned Cambridge Mathematicians. After numerous rejections he found a sympathetic ear with GH Hardy, who preferred a poor and disadvantaged to the “confident, booming, imperialist bourgeois English”. Ramanujan’s tragedy was that he had no formal training in mathematics. He was largely self-taught in mathematics and had compiled over 3,000 theorems by the year 1914 when he moved to Cambridge. Often, his formulas were stated without proof and were only later proven to be true. His results have inspired a large amount of research and mathematical papers. To his immense frustration, he spent hours reinventing theorems that, unknown to him, had already been tackled by the great Mathematicians over decades. This coupled with the harsh British winters and a vegetarian diet in war-time Britain took a toll on his health. Ramanujan returned to India in 1919, and died there a year later. British director Stephen Fry and India’s Dev Benegal are currently co-producing a movie that will look at Ramanujan and his relationship with Cambridge don GH Hardy. The film will be shot in Erode, Ramanujan’s birth place, Kumbakonam where he grew up in Tamil Nadu, and in Cambridge, England where he spent five years. 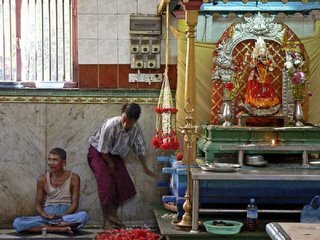 An interesting article on BBC talks about how a temple in India delivers 15000 coconuts daily for its rituals. Coconuts are common offerings during Hindu religious ceremonies and are used for initiation and inauguration rituals. The Devotees of Maa Tarini temples in Orissa, have a creative and ingenious and elaborate system in place. 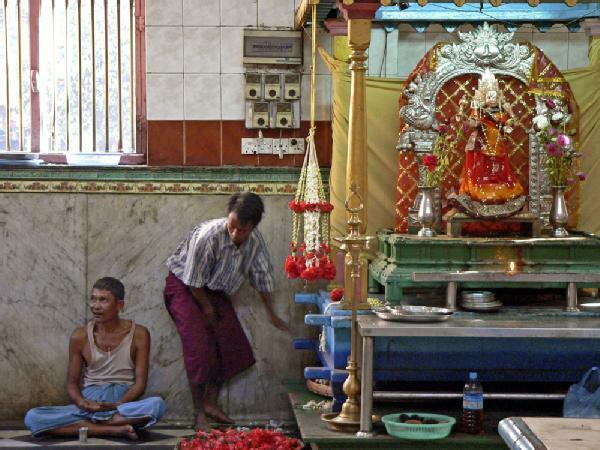 “It’s a religious courier service without any parallel in India,” says Gurcharan Singh, secretary of the temple administration. This free courier service relies on a network of collection boxes on roads , other temples, passenger buses and devotees simply carrying the fruit to the temple. Hold a coconut in your hand on a highway in Orissa and the next bus will surely stop to pick it up to take it to the temple Even if the bus is on a different route, the driver will make sure to drop the coconuts in a collection box en route or pass them on to a bus headed for Ghatgaon. What drives this unique, yet innovative Supply Chain? Faith. The drivers believe that carrying the coconuts to the deity ensures a safe journey – stories of bus drivers who failed to pick up coconuts from devotees and met with engine failures or accidents are commonplace. Humans always hold institutions that survive despite numerous hurdles in high esteem. In India, Delhi Metro system has risen to become one such unassuming institution. The Delhi metro was completed in record time and roughly Rs 7 billion under projected cost. 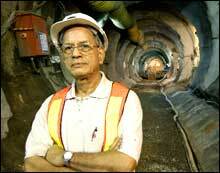 At the age of 74, Elattuvalapil Sreedharan, the Managing Director of the Delhi Metro system, has been hailed as an extraordinary visionary and planner. In a country that is plagued by white elephant projects and chronic bureaucratic red tape, this project stands as a beacon of hope. For Delhi to truly evolve as a global city, it needed a mass transit system. Successful infrastructure projects are becoming increasingly critical to attract investors to an emergent India, and Delhi, is the primary gateway to India. A first grade public infrastructure plan will act as a life line to this ailing city. More than anything else, the Delhi Metro has already changed the lifestyle of the people; how they travel. It is changing the social attitude, people have become more disciplined. They have started respecting a public asset.